Rabbi Zaiman will be our guide on a journey into forever letters—what they are, why write them—and how they can be powerful tools to connect us with the people we love. 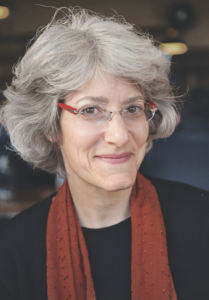 Rabbi Elana Zaiman is the first woman rabbi spanning six generations of rabbis and the author of The Forever Letter: Writing What We Believe for Those We Love. Rabbi Zaiman describes her mission through her work, writing and life is to bring people together; to enable all people (especially children, elders, and those who feel marginalized in our society) to be heard; to guide people to find meaning in their lives and to live into this meaning; to question the wrongs we encounter and to have the courage to change them; to do our best to right the wrongs we ourselves create; and to appreciate how each one of us is a precious and necessary gift that contributes to the larger whole of our world.